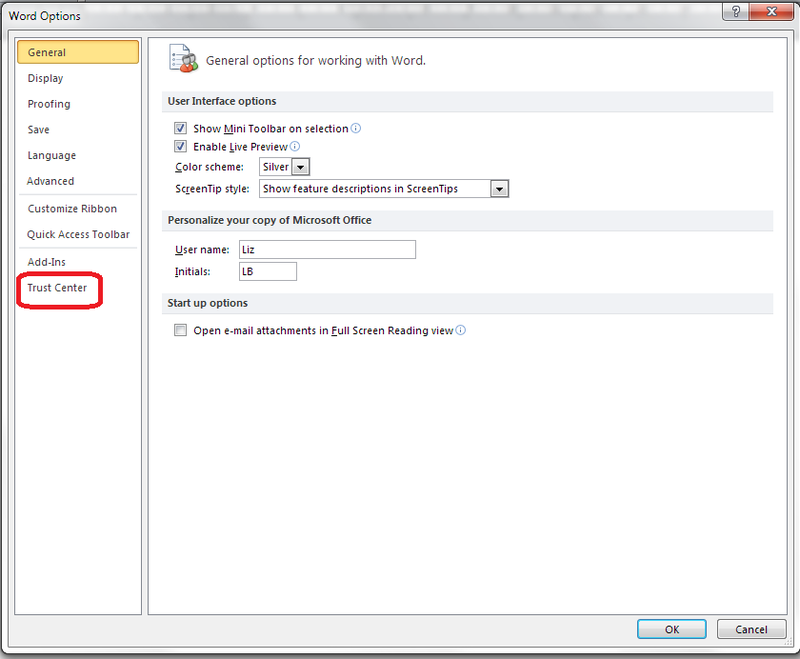 How do I access Word Options in Word 2007, 2010 and 2013? Word Options is the place where you customise the look of your Word document, how it corrects your words as you type away, the spell checker, your initials on any comments and the document properties, etc. 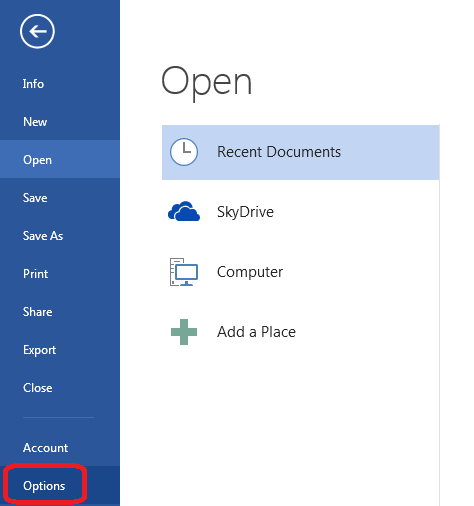 It’s a great place to explore and enables you to customise Word and get it exactly how you want it. 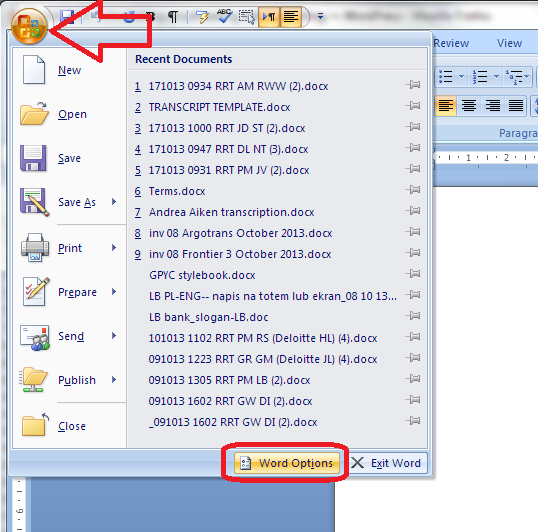 However, it does work slightly differently in the three most commonly used versions of Word for PC: Word 2007, Word 2010 and Word 2013, so here’s a quick guide to how to access Word Options in these different versions of Word. I remember it used to be very easy. It was something like: right click, select spell check, then tick a check box to indicate the selected text should not have spell checking applied. It must have taken less than 5 seconds to do this. I used to do this alot when writing/editing program specifications where code extracts were included in the text. The spell checker would always highlight the variables which typically were not in the dictionary. The red squiggly underlines made it very difficult to see the code. 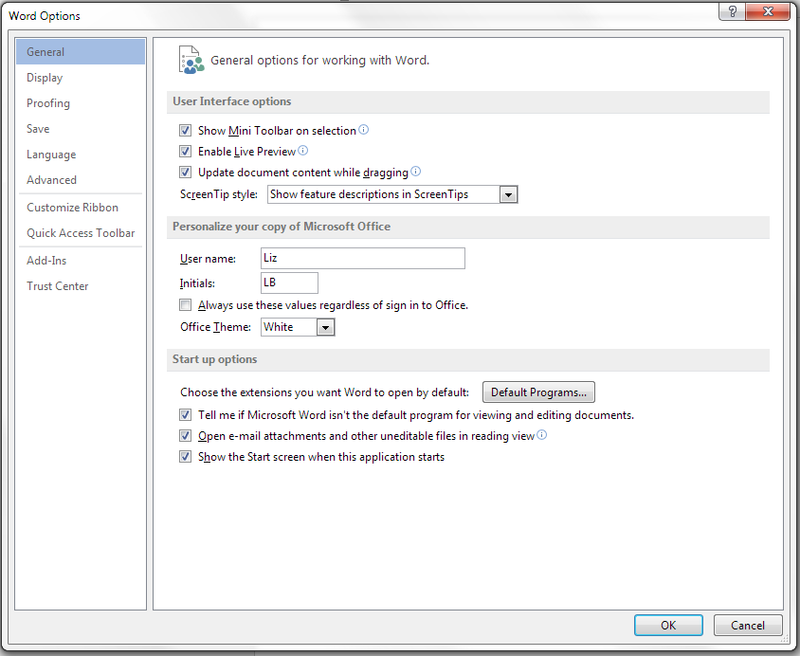 I have recently tried doing the same in Office/Word 2010. After several attempts I finally managed it but it took me ages to figure it out. I had to select a temporary style and set the style to not spell check, or something. I then tried using the format painter to select other sections which needed ‘un-spellchecking’ but that did not work. As for taking 5 seconds ? 5 minutes would be optimistic! Have you come across this problem ? if so, is there a better solution. Hello Ben, and thanks for your question. The only way I can think to do this is to highlight the paragraph (or paragraphs, holding down the control key) and then click on the language at the bottom of your screen (or choose Review – Set Language – Set Proofing Language; if you want to get the language showing at the bottom of the screen, left-click on the bottom tool bar and choose to display language, if that doesn’t work, see this post https://libroediting.com/2014/06/18/how-to-change-your-editing-language-in-word-2013-word-2010-and-word-2007/). Once you have the language choices displaying, tick your language and tick “Do not check grammar and spelling”. That should mark all of the text you highlighted such that the spell checker avoids it. I hope that works for you and takes less than 5 minutes – do let me know! I read the post linked above and I think it addresses the problem so Thanks. 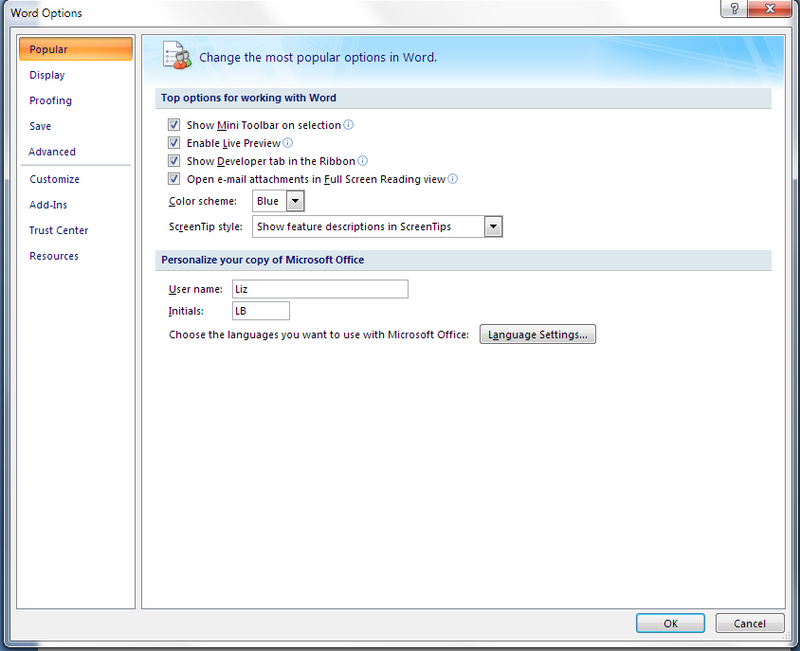 However, for some reason on my version of Office 2010 the Language option was not appearing at the bottom of the window. I had previously googled* several explanations which described a similar approach to yours. I wondered if the reason for this was possibly because my setup only included 1 language (UK English). I added US English and Spanish to the list (as not enabled). This seems to make the Language option appear at the bottom of the screen. Hi Ben, glad that worked and yes, that’s why I linked to that “how to change your editing language in word” post – it’s all a nested series of events you have to put in place. Anyway, really glad it’s all there for you now! I read your post again (August 1, 2014 at 5:49 am) and the link does describe the problem very comprehensively. I skimmed through the post before and did not notice it but its very well explained. Much appreciated. Thanks for your comment, glad you found the bits I meant to point you to! Hi There. I came along your article through Google and searching for a solution to a problem I’m having. 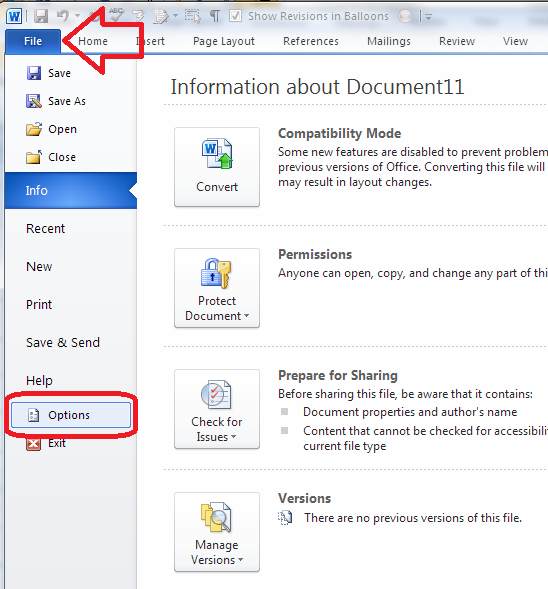 Word 2013 on one of my computers is not showing the Options or Add-Ins menu items… just stops right at Account. Anyone have an idea on how to fix this? I know it’s the standard thing to do, but have you tried closing Word 2013 down and opening it up again? I had to restart Word when I added an Add-in item recently, and it might just have got itself in a muddle and need restarting. Hope that helps – let me know if not. Hello Jamal, I’m afraid I can’t provide individual teaching, but if you don’t find what you need by searching my blog (see the Search option on the right), then please comment with a note of what you’re having a problem with, and I will try to help. You’ve managed to save it as the template – if you do Save As, you can change the document type to .dotx and make it the template that always opens. What you’ll need to do is get a blank page up, do Save As, change document type to .dotx, then if it prompts you to overwrite the current template, say yes. Hope that helps – let me know. Thank you! This has been driving me crazy for years!